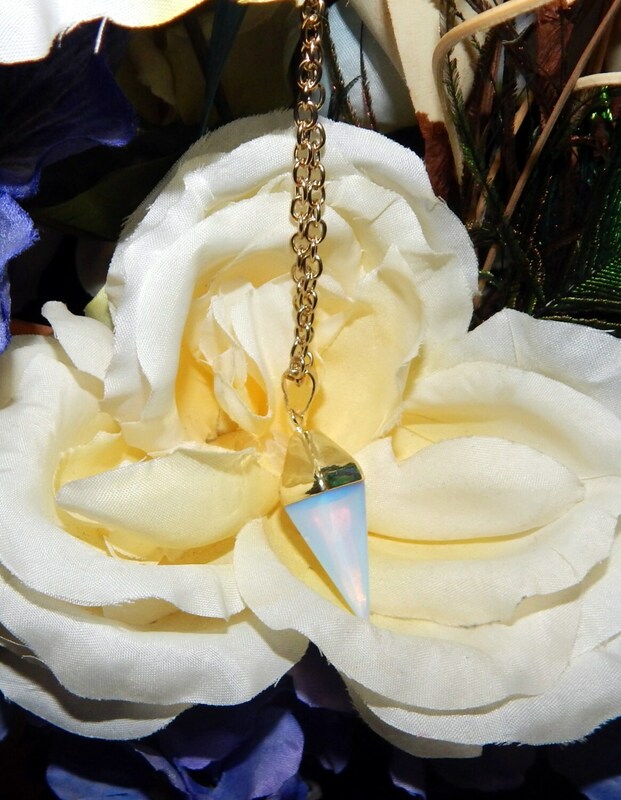 Lovely Pendulum necklace can go anywhere with you! Includes 30 inch adjustable gold-tone link chain with clasp. 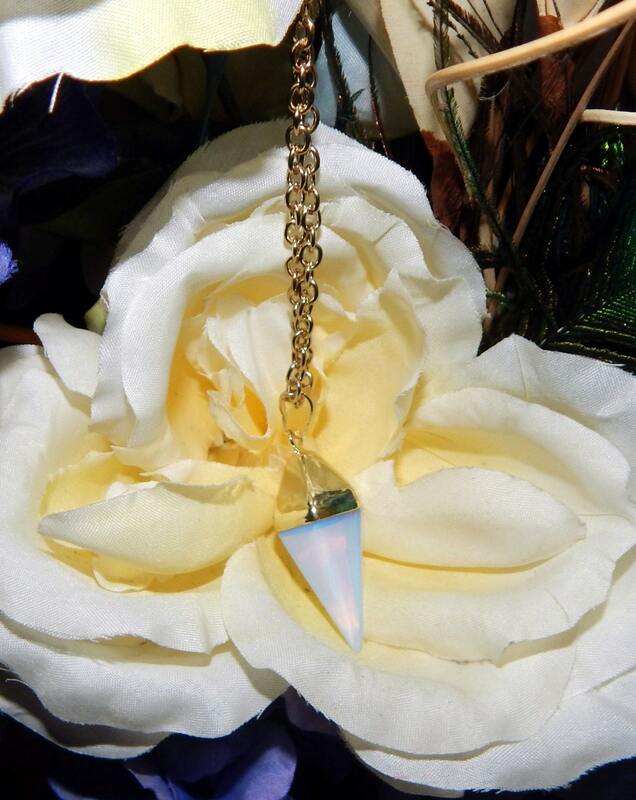 Opalite gem with faux gold plating. A perfect divining tool, even on the go. Essential for light workers and those interested in the occult and working the craft. Ideal for Wiccans, Pagans and those who wish to communicate with the spiritual side. Can be used with hand crafted or printed pendulum boards to scry for answers, or to communicate with spirits or the other realms. This necklace can also be used for Reiki healing and balancing the chakras. Unique, discreet and fashionable jewelry. Anointed with 'psychic oil', hand crafted by my coven to promote spiritual awareness and psychic abilities.